Grief can feel like the longest night of the year many times over. When the proverbial rug is pulled out from underneath our lives we end up falling into a deep, dark hole. Some call this the dark night of the soul. The only thing we know about this dark place is that we want out and we will do whatever we can to escape. We will run, crawl, claw our way out and if we do find a way out we usually keep running and carry the darkness within us. What would happen if we sat in the dark until our eyes adjusted? Maybe it is there that we would find the tools that would help us find our way through our grief instead of trying to get away from it. It is a slow process to adjust to this darkness and we come to understand that we will not come out the same way we went in as the darkness transforms us. In allowing ourselves to be in this darkness our grief begins to soften and open our hearts as we become more compassionate, more empathetic, and kinder human beings. Grief is the map that we discover within ourselves and it will lead us through this dark, uncharted territory. This is a different kind of roadmap as it more like a Braille or tactile map since we must feel our way along in this darkness of grief. If we take our time and learn to listen to our feelings the map will show us when it is we need to slow down, when we need to stop and ask for directions, where there will be a dead end, and where the rest stops are along the way. Some days grief can be folded up nice and neat like a map that has never been opened. Other days it is like the map was ripped open and it gets all wrinkled and discombobulated and there is no way to put it back together so you throw it in an unrecognizable heap into the backseat. Other days you forget there was ever a map. We soon learn that in using this map there is no direct route to getting out of the darkness, in fact, there will be many detours along the way and there is no final destination as healing never ends. This map will have a key that tells what type of roads lie ahead. The key shows there are smooth, paved highways, there will also be bumpy washboard roads that will shake us to our core, roads with sharp, hairpin curves, there will be dead ends, and roads closed for construction. The key to this map shows you what types of roads you will be traveling but it doesn't show where they are located. You will discover the type of road you are on while you are on it. And the strange thing about these roads is one minute you can feel like you're sailing down the highway and the next minute you have hit a dead end without warning. Hence, the need to go slowly and listen deeply because a grief map is a map of self-discovery as we feel our own way through the darkness. We will be traveling in a vehicle that can seem quite unreliable as it tends to break down often and at times is inconsolable. Our vehicle doesn't really know where it is going as its GPS is broken and can't seem to find its bearings. The windshield is cracked from having our dreams shattered and it is splattered with all of the cliches, what ifs, doubts, and judgments that we have encountered along the way. The windshield wipers are worn out from wiping away all of the tears that have been shed. The engine may need an overhaul because it seems to be missing a few beats. Some days our vehicle stays stuck in park and other days it will only go in reverse. Sometimes the gas pedal sticks and our motor is racing but we are going nowhere. Sometimes we break down on the side of the road where we can take the time to open the hood and see what is causing the issue. Other times we break down in the middle of a busy intersection where some of the vehicles will ignore us as they drive by and other vehicles start honking and yelling at us to get out of the way or to hurry up and fix the issue so we can move on. Sometimes another vehicle will come along and want to push us from where we are to where they think we should be and way before we are ready to move. We are the ones who must listen to our own vehicle as we will know when its time for us to move from where we are. In time our GPS will find its way and will have a whole new sense of direction. Our windshield will get repaired and we will see things differently than we ever have before. Of course, there will still be times when tears cloud our view. Our engine will begin to run a little more smoothly but will always be missing a few beats. So as we journey our own longest night we must remember to slow down and feel all of the bumps in the road along the way. This is not an easy journey as we must make the map as we go. It is in the making of the map that we discover our own inner light that has been guiding us the whole way. Daria Leslea (MA, LPN, RYT/CYT) is a mindfulness-based grief therapist, and former hospice nurse, who works with people who have all kinds of loss including traumatic loss. She is also a yoga therapist who combines grief therapy with gentle yoga movements, breath work, and other yoga techniques to address the physical, emotional, and spiritual symptoms of grief. As a bereaved mother, Daria knows that talking about one's grief is helpful but sometimes we also need a way to express what we can't put into words. She has found that through the combination of telling one's story and gentle yoga practices it enables grief to be addressed at a much deeper level. Daria has a Master's degree in Psychology and went on to study the "companioning" model of grief with Dr. Alan Wolfelt at the Center for Loss in Ft. Collins, CO where she received her certification in Death and Transition Studies from the Center for Loss and Colorado State University. 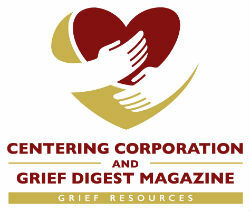 Daria is also Certified in Compassionate Bereavement Care (tm) from the Center for Loss and Trauma and the MISS Foundation. She has also studied with Francis Weller, Frank Ostaseski, Ram Dass, Angeles Arrien, Charles Garfield, and others in Mindfulness and Compassion in working with grief and grief ritual. Daria trained with Antonio Sausys, the creator of Yoga for Grief Relief, where she received her advanced certification. In addition, Daria is certified in Trauma Sensitive Yoga from the Trauma Center in Brookline Massachusetts. Using the breath and gentle asanas she helps people to reconnect with their bodies so they can learn to trust their bodies once again and see their body as a resource to help them heal from the loss and/or trauma they have experienced. Daria has a private practice, Good Grief Yoga Therapy, located in Littleton, CO.